L-Isoleucine is an essential amino acid and is routinely used by bodybuilders and athlete. Improve performance and lengthen exercise regimens through increasing energy and endurance. 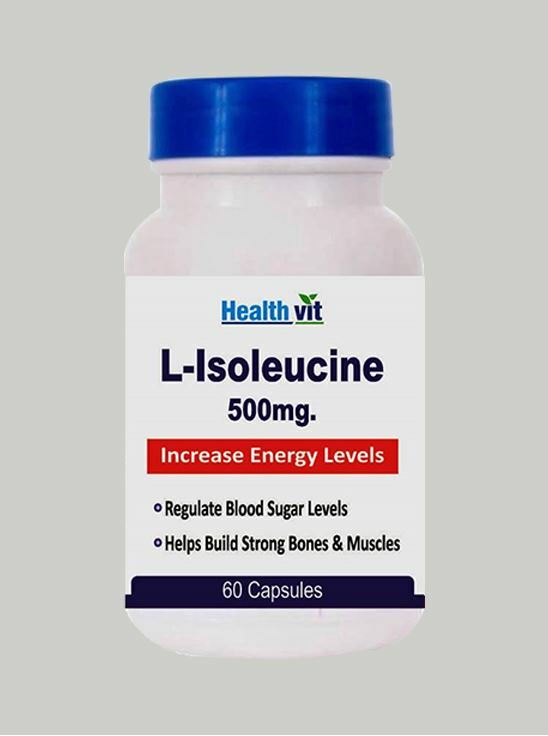 L-Isoleucine is one of the five most abundant amino acids that can be found in the skeletal muscles and makes up a total of about one eighth of all proteins in the body. L-isoleucine is considered essential because the body cannot produce iron its own. It must be supplemented to get its benefits. • Increase Energy Levels. • Regulate Blood Sugar Levels. • Helps Build Strong Bones & Muscle. Warning :- • If you are pregnant nursing or taking any medications, consult your doctor before use. • No artificial color, flavors or preservative added, no chemical solvents. Suggested Use :- As a dietary supplement, take one capsule two three times daily, 30 minutes before meal with water. Ingredients :- Lactose, Di-Basic, Calcium Phosphate, Purified Talc Magnesium Stearate • Store in a dry place at a temperature below 30 C. • Keep out of reach of children.